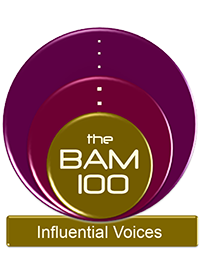 There have been a great many comments and posts recently on both the successes and shortcomings of the BAMMY AWARDS. 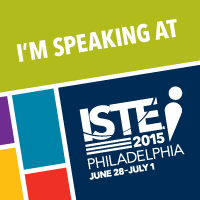 I was recognized at the ceremony as a Co-Founder of #Edchat and an innovator in education. There were some blatantly obvious mistakes made at that ceremony, but it should also be recognized that the entire event was set up to recognize and celebrate educators. I do not want to enter the fray on this, but I do need to take issue with one criticism that I have seen in a few posts that I think is off the mark. If there is one subject I have consistently written about for years, it is the idea of what a modern connected educator is. If there is one thing we should strive for as connected educators, it is collaboration. It shares, questions, refines and improves ideas. Collectively, we are smarter than we are individually. Collaboration makes education more transparent. It enables educators to examine, and explore what is relevant in their profession. It highlights the best and exposes the worst in education. Connected educators are educators who engage in this collaboration with the tools of technology to efficiently maximize their collaboration in ways that were never before possible. The Bammy Awards were set up to recognize and celebrate that very aspect of education, the successful collaboration of educators. Why then are educators criticizing the Bammys for recognizing connected educators? 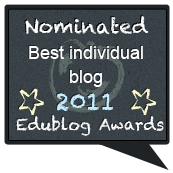 Some blog posts were critical that this was a popularity contest with the most popular connected educators. If an educator is a successful collaborator in social media, he, or she will attract a following. That following however is based on the ideas that the educator shares, and not on who likes them personally. There are many educators who have social media accounts, but that does not make them connected educators. I have a list of over 200 superintendents on Twitter. Most have barely tweeted 100 times, and I suspect they were more for PR than for collaboration. They have followings as well, but that is not necessarily based on their collaboration and most are not substantial. 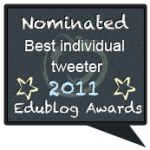 Many of the connected educators at the BAMMY AWARDS, which was probably less than 50 or 60, are educators who do more than just tweet for collaboration. 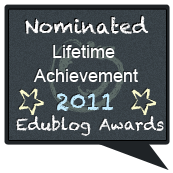 Most of them Blog, some of them have written books, many have done webinars, speak at conferences, and conduct sessions at Edcamps. All of these actions are forms of collaboration, and the result will be a following of educators, who recognize and appreciate the value of each of the contributions of each of these individuals. These connected educators are going beyond what we have now come to expect from educators, doing exactly what we need them to do to improve our profession through collaboration. Why would anyone then question or criticize them for being too popular. Why would anyone want to discount the validation of these educators? The number of followers is the very measure that validates their efforts. If we did not want educators to be recognized for their ideas and have people publicly stand behind them, we should not put any names on any work. If the rule is to be that we need to collaborate, but not be recognized for that collaboration, then we should all write and collaborate anonymously. No names on books, posts, speeches or any work that is public collaboration. Connected educators cannot control their “popularity”. This following or “Popularity” is a consequence of how their ideas are vetted and approved by other educators and in so doing, their names are recognized. This to me is a good thing. I can name the best people who can model what it is to be a connected educator based not just as my opinion, but one born out by other educators as well. It makes no sense to me to say that we need to recognize collaboration in education and then condemn connected educators for being successful for doing it. It is a fact in collaboration in social media that one measure of successful collaboration will be the “popularity”, or following of the collaborator. We are each entitled to our own opinions on how we measure and value things. I am becoming more and more aware however, that the forms of measurement that we use for things may need to be adjusted, or even scraped, as we change the way we do things. I would offer that advice to both the organizers of the BAMMY AWARDS as well as their critics. From time to time I am asked to answer interview questions for some organization, or upcoming conference, so that the interview can be shared with other educators. Many educators are asked to provide these videos as a common practice. It is not as timely, or spontaneous as SKYPE or a Google Hangout, but it is portable and controllable, so that makes it preferable too many people. They can edit and tie it into others and then send it out to their audience, or present it in a gala presentation for all to see. Unfortunately, not every video interview makes it to the final production for a myriad of reasons. Sometimes only a snippet of a larger version makes it into the final production. For those of us who figured out how to make a video, and took the time to do so, it is always a little disappointing not to make it in the final production. My best takeaway is that I figured out how to use iMovie on my own to put it all together. Of course I should point out that this is but another connected learning benefit. The organizers of The BAMMY AWARDS recently asked me to do such an interview tape. It was to be a rough-cut video that they would edit to professional status. It would include a quick introduction of myself, followed by my answers to three questions. 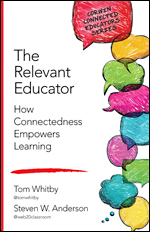 1 How has being a Connected Educator helped you in dealing with all the demands of an educator today? 2 Can you give a specific example of how being a Connected Educator has changed your practice? 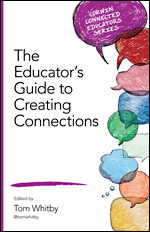 3 What would you say to a non-Connected Educator to convince him/her of the value in being connected? I pondered the questions, considered the creativity, checked out the App, found a relaxed setting, gathered costumes, screwed up my courage, and took the plunge. After a few starts and stops, I began to get the hang of it, and I was off on yet another thing that I was doing for the first time as a result of connected learning, and the support and encouragement from my social media colleagues. I even opened a YouTube account to house my production upon its conclusion. My 6 minute and 13 second production was uploaded to a predetermined file-sharing app, so that it could be edited by the BAMMY Staff before the big event. I attended the Washington D.C. event awaiting the unveiling of the Connected Educator Production before the hundreds of educators in the audience. After all it was a red carpet, black tie affair, so I began to feel as if it was my personal premiere. The video came up on the big screen with the images of education thought leaders giving their answers to the very same questions that I had deftly dealt with. Of course they had no costume changes. That a little something extra that would most likely assure me the creativity award, if anyone were to give one. About three-quarters through the production, I was still on the edge of my seat knowing my digitized face should pop up at any second with pearls of wisdom cascading from my lips to the throngs of applause from the gathered crowd of educators. Then it happened. I did appear on the big screen. My heart stopped for about 10 seconds. Not that my heart stopped working for 10 seconds, but that was how long my appearance was in that very professional, and very impressive production – 10 seconds. My creative informative sage wisdom of 6 minutes and 13 seconds was edited down to about 10 seconds. The worst of it was that no one even knew I had three costume changes. Of course I asked what happened of the folks in charge, and they had reasonable explanations for the cuts that they made and the pieces that they included. I had no recourse, but to accept my fate and go unrecognized for my video creation. That is when I realized I am a Connected Educator. I do not need an organization, producer, or publisher to share my ideas, works and accomplishments with other educators. I can count on myself to do that. I could also get it to a much greater audience with the added power of my Personal Learning Network and Social Media. Without further ado, I would like to share with you, the very rough-cut version of “My Connected Educator Interview”. Please feel free to pass it along to friends and colleagues connected, or not. Please take special care to note the costume changes. It is most commonly known that the two things we should not open a discussion on at a friendly dinner party would be religion, or politics. These two topics stir up passions in people that may take some over the bounds set by acceptable civility at such gatherings. I have found myself a victim of this social imperative on a number of occasions. That is the price to be paid for being opinionated, and passionate about things. Among educators, I would suggest that we add Awards and Lists to Religion and Politics as subjects that strike chords in people who cause them to cross over to the wild side. Whenever annual award presentations appear on the calendar the pro and con discussions begin. The merits and flaws of such ceremonies are debated in blog posts and tweets ad nauseam. Lines are drawn placing people on respective sides of what, at the time, seems like a very important issue. Actually, in the scheme of things that are of real important, it is actually a non-issue. Often, a well-meaning effort to recognize the accomplishments of the few who stand up and stand out, are criticized or maligned to the point where people are discouraged from even suggesting to do such events. The irony is that those same critics of awards may also loudly complain about the lack of recognition for educators in the national discussion of education. I believe that any positive recognition any educators get, for whatever their accomplishments are, helps all educators. We might consider how that rising tide raises ALL boats here. Since we know lists of “Favorites”, or Top Ten, or “The Best Of” will always be with us, let us try to be less critical of the choices. We need to keep in mind that each person draws from a different pool of sources. Any particular list represents the best selection from that author’s pool of sources. Of course we all have better sources, so our choices would be similar, but different, and, of course in our eyes, much better. Don’t knock someone else’s list; just put out to the public your own list. Other people will judge any list’s value based on their specific needs. I both love, and hate lists. In full disclosure I should tell you that I, and the entire #Edchat team are being considered for a BAMMY AWARD to be presented in Washington D.C. this weekend. 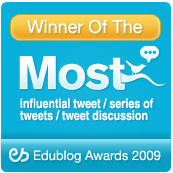 We are being recognized for the impact #Edchat has had as an innovative tool for connected educators. The entire Black Tie, Red Carpet event honoring many, many educators will be live streamed. 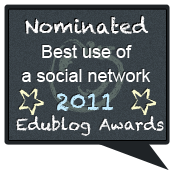 This is the 2nd annual Award Presentation to recognize Educators on a National stage. 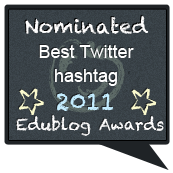 If you are unfamiliar with #Edchat it is a weekly discussion of education topics held on Twitter twice each Tuesday. The #edchat Team of educators who make that happen each week includes: Shelly Terrell Sanchez @ShellTerrell, Steven Anderson, @web20classroom, Kyle Pace, @kylepace, Nancy Blair, @Blairteach, Jerry Blumengarten, @cybraryman1, Jerry Swiatek, @jswiatek, Mary Beth Hertz, @MBTeach, and Berni Wall, @rliberni. I hope I did not leave anyone off the list. Whether we agree with the choices for the BAMMY AWARDS or not, it is wonderfully refreshing to see educators being held up in high esteem and honored instead of being vilified and torn down as has been the trend of late.